Boot Camp is a fun filled crash course for adults that have never tried hockey before, are interested in learning the game or would just like to improve their current skills! Cost: There will be no cost. This is a service to try to improve the skill of all to better our league. Requirements: Full equipment is required. All skaters must be 18 years of age or older. Guys I am setting the captains meeting up for Wednesday March 27th at 6:30pm It will be at the ice box as usual. I know its late but its one of the only nights that we don't have games at that time. If you have a team you can let michelle and I know and we can start adding you. I moved the credit balances from winter there already. Here is the challenges we are dealing with. 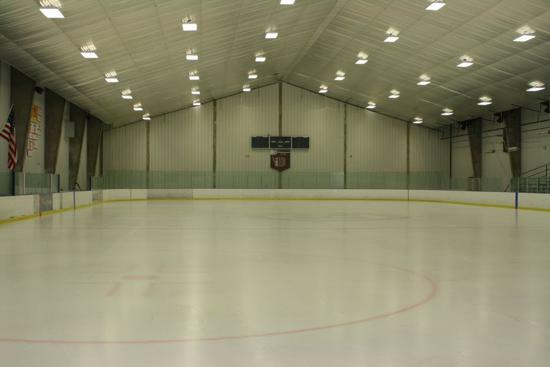 Both rinks need to be painted for the U14 national championships and we will be running on one rink from 3/21 through 3/30 which is hopefully enough time to finish both rinks. 4/4 - 4/7 is the actual tournament and it hasn't been confirmed if we can use the ice at all. This is a really big deal and will take over the entire building. Then we try to squeeze in both the boot camp and the additional games we are missing so its going to be a challenge. In the case of not getting them in, we will issue refunds or credits to the teams for summer. I am guessing we start summer session on april 21st with the H4L tourney the following weekend. Both rinks will be up through the end of April. ©2019 South Bend Senior Hockey League / SportsEngine. All Rights Reserved.